First, let me apologize for not posting in such a long while! As many of you know, I started a new blog to document the next chapter of our lives. The new blog is called LIVE TEACH ALASKA and will be all about living and teaching in rural Alaska. We will be in Alaska in early August and can't wait! In the meantime, we're still in Korea. The weather's been sunny and warm for most of the month, but we are now entering into monsoon season, meaning rain and humidity. Between speaking tests at school, planning for the end of the school year, and spending time with friends, we've kept ourselves busy. Two noteworthy events that took place these past few weeks were Tyler's first ping pong tournament and going to Me World. 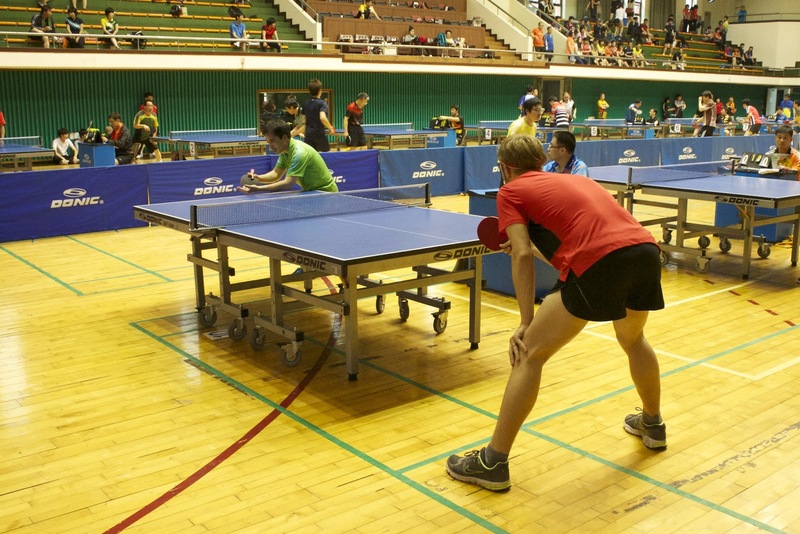 A couple weekends ago, Tyler played in his first ping pong tournament at a local university. Tyler has been playing ping pong and taking ping pong lessons at a local ping pong club for many months now. What first started as a fun pastime has turned into a serious hobby. Despite his flaming red uniform, '80s sweatband, and super short shorts, Tyler has actually turned into an incredibly skilled player. 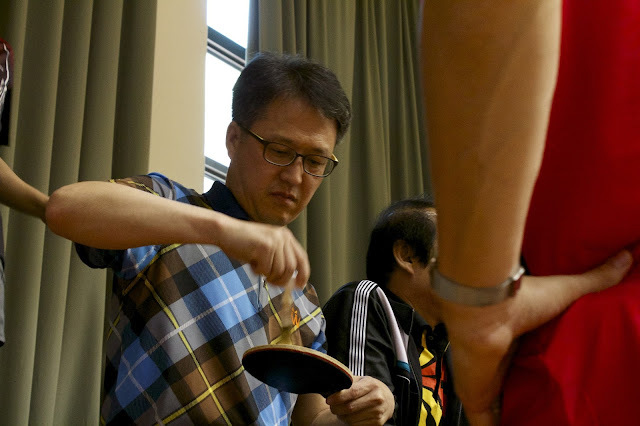 He attended the tournament with other ping pong players from his facility and started competing at noon. Before the tournament began, Tyler had a minor emergency just as the players were called to the courts. The rubber on Tyler's paddle was peeling off. Luckily, a member of Tyler's club (and a very skilled player who ended up ranking highly in the competition) pulled out glue and strategically attached the rubber back onto the wood. 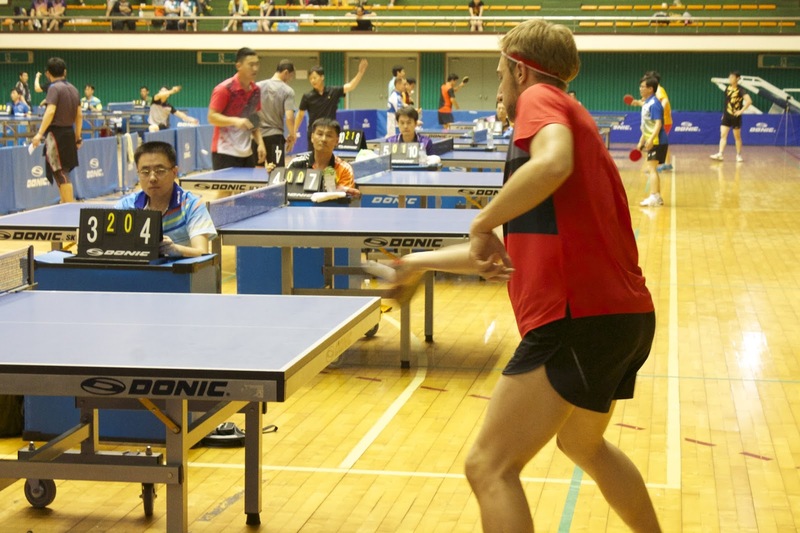 There's certainly a lot about ping pong I don't know. 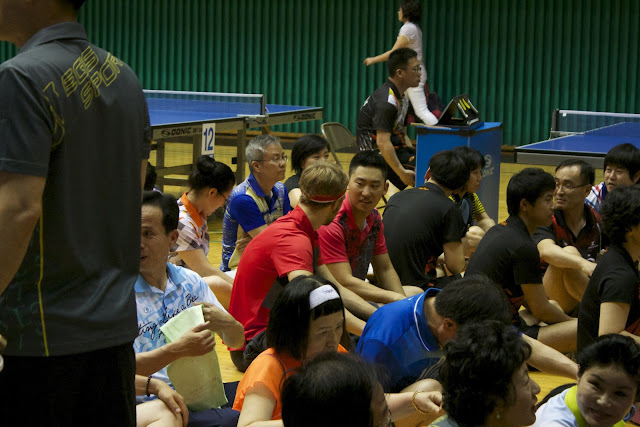 Before the players started their games, all competitors were called to the gym floor for the opening ceremony. As you might have realized from my Sports Day post, opening ceremonies are extremely important in Korea. During this ceremony, the organizers were introduced, gave lengthy speeches, and then randomly gave away ping pong prizes in a raffle. Tyler unfortunately didn't win anything. 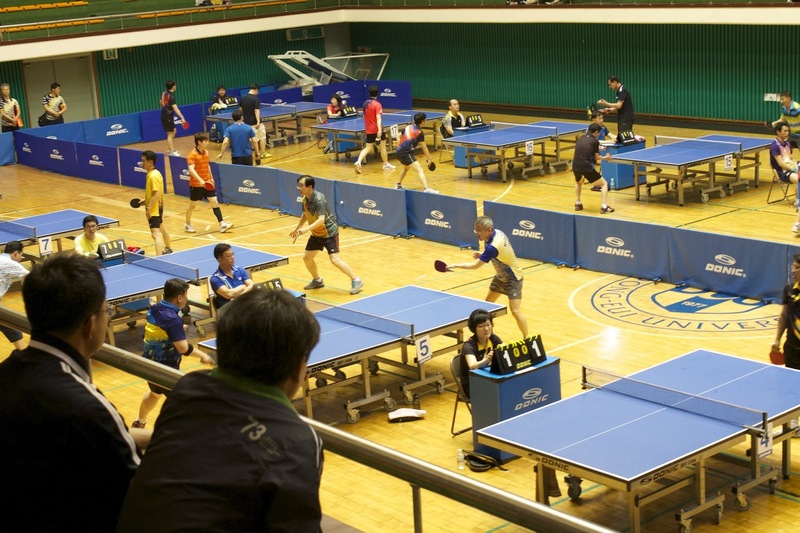 In the photo above, Tyler is talking to a good friend he made at his club named Seheon Jeong. Unfortunately, Tyler didn't get very far in the tournament. 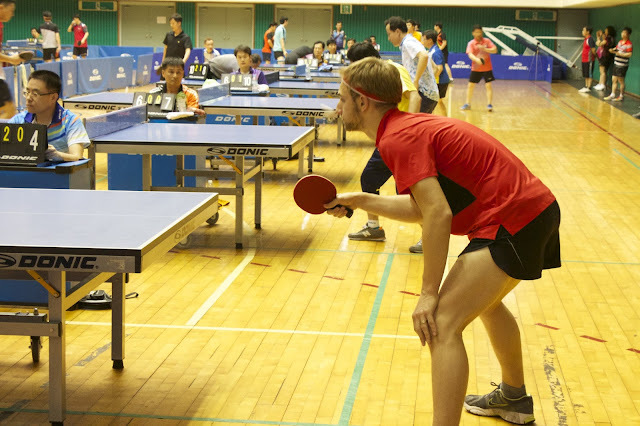 Ping pong players in Korea are very talented and take the sport very seriously. The fact that Tyler was able to compete was impressive enough to me since he just started playing last year. To put it in perspective, no one from Tyler's club advanced on to the final rounds (except for the player who helped Tyler mentioned above). Overall, Ty had a great time. 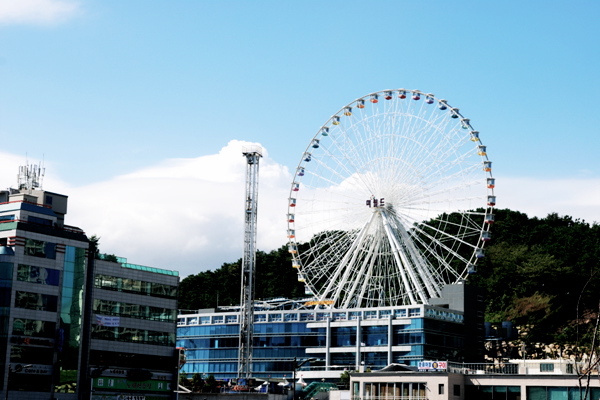 The next weekend, we went to a small theme park next to Gwangalli Beach called Me World. Me World reminded me of a larger version of a traveling fair, rusty rides and all. We went with another couple originally from the East Coast whom we recently met, Dan and Rachel. The park was filled with lots of surprisingly fun rides. We went on a giant swinging pirate ship, a river raft ride, and a really tall ride that zipped us up and dropped us down. In the pictures above, Tyler and Dan are riding an octopus ride that Rachel and I refused to go on. They ended up going twice! I think I would have puked. In the evening, Tyler and Dan hit some balls in the batting cages. Tyler hadn't played baseball in years and years, but ended up hitting every ball in the fast-pitch box! Another confirmation that this boy is a natural-born athlete. At the end of the night, we all took a ride in the giant ferris wheel overlooking the ocean. The park and the beachfront at night were truly beautiful to survey from such a high altitude. You can see the lights of the Gwangalli Beach Bridge behind my head in the photo. Our chapter in Busan is beginning to draw to a close. I have 37 more days left in Korea before I return to Seattle for a week to visit friends and family. After that, I'll be off to my training in King Salmon, Alaska, to prepare for out next big adventure. We'll post a few more updates on Brittons Abroad before we move on, but don't forget to stay updated with LIVE TEACH ALASKA during the next year! Thank you all for following along throughout our travels.